Today, David and Aisha paired up to plant our new garden patch. David wanted to make our new garden a “kitchen garden”, so he got packets of seeds and taught Aisha carefully how to plant, explaining the whole process of a seed growing. Aisha is a very literal learner and responds very well to factual information, especially in the style that David presents it to her. They are both alike in this manner, and so they have a special connection and communication. 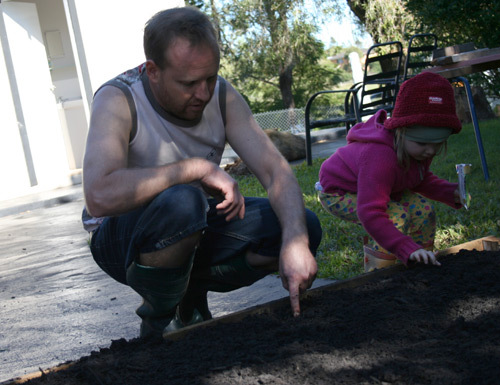 Today David showed Aisha how to plant the seeds in our new garden patch, up the top, near the house. 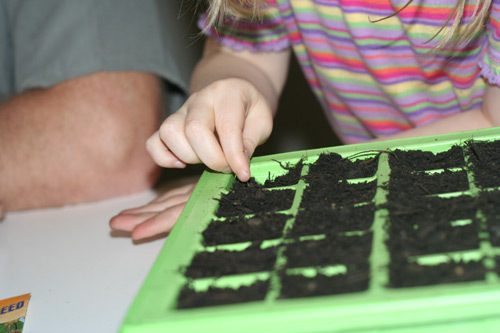 Inside the house, they planted more seeds into little trays and several into cotton-wool in glasses so we can watch the roots and shoots develop. As well as the practical times of teaching and interaction, David has enjoyed some special times with Aisha in the last couple of days. She’s really interested in the Bible, and he’s been able to share truths and stories with her throughout the course of the day. We pray that these seeds planted early will lead to a life dedicated to following Jesus.